Mayo Clinic is a nonprofit medical practice and medical research group based in Rochester, Minnesota. It employs more than 4,500 physicians and scientists and 57,100 allied health staff. The practice specializes in treating difficult cases through tertiary care. It spends over $660 million a year on research. William Worrall Mayo settled his family in Rochester in 1864 and opened a medical practice that evolved under his sons into Mayo Clinic. Mayo Clinic is widely regarded as one of the world's greatest hospitals and ranked No. 1 on the 2016–2017 U.S. News & World Report List of "Best Hospitals", maintaining a position near the top for more than 25 years. It has been on the list of "100 Best Companies to Work For" published by Fortune magazine for thirteen consecutive years. It continued to achieve this ranking through 2015. William Worrall Mayo, the founding father of what would become the Mayo Clinic. 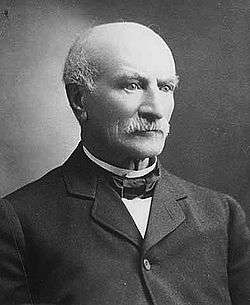 In 1863, William Worrall Mayo (1819–1911) came to Rochester, Minnesota as part of his appointment as an examining surgeon for the military draft board during the American Civil War. The city was to his liking, and his wife and children joined him in early 1864. William Worrall Mayo opened his medical practice after the war, and served in several leadership roles in the community. Both of W.W. Mayo's sons, William James Mayo (1861–1939) and Charles Horace Mayo (1865–1939) grew up in Rochester, and when old enough both attended medical school. William graduated in 1883 and joined his father's practice, with Charles joining after he completed his training in 1888. On August 21, 1883, a tornado struck Rochester, causing at least 37 deaths in the area and over 200 injuries. One-third of the town was destroyed, but the Mayo family escaped serious harm. The relief efforts began immediately with a temporary hospital being established at the city dance hall, and the doctors Mayo (W.W. and Will) as well as other local doctors, were extensively involved in treating the injured who were brought there for help. Mother Alfred Moes and the Sisters of Saint Francis (a teaching order) were called in to act as nurses despite having been trained as teachers and with little if any medical experience. After the crisis subsided, Moes approached W.W. Mayo about establishing a hospital in Rochester, and Mayo agreed to work in the hospital, and soon other local doctors agreed to work in the hospital as well. On September 30, 1889, Saint Marys Hospital was opened by the Sisters. W.W. Mayo, 70 years old, was one of the consulting physicians at the hospital. His two sons began seeing patients and performing surgeries at the hospital when they returned from medical school in the 1880s. In 1892, W. W. Mayo asked Augustus Stinchfield, whom he considered to be the best doctor in the area, to join the practice. After Stinchfield agreed, W.W. Mayo retired at the age of 73 and the practice continued to grow. The founders of Mayo Clinic are the Mayo brothers Will and Charlie, Stinchfield, Graham, Henry Plummer, Millet, Judd, and Balfour. These early founders and partners shared in the profits of the private group practice, while other staff hired by the partners were salaried. W.W. Mayo died in 1911 and in 1919 the remaining founders, with the exception of Graham, created the Mayo Properties Association, and their private practice became a not-for-profit entity. The founders gave the Clinic properties and furnishings to this newly formed association. The integrated practice model developed primarily by Plummer, created a foundation for what would grow into the Mayo Clinic. As the private practice grew, it required additional space. In 1914, the partners planned, designed and built a new clinic building. Ellerbe Architects are the architect of record for the 1914 Mayo "Red" building, as well as for the 1922 Mayo Institute of Experimental Medicine, the 1927 Plummer building, the 1954 Mayo Clinic building, and the 2002 Gonda building. In 1914, and under the guidance of Henry Plummer, the new building allowed the integrated group medical practice concept to be fully expressed.Many highly innovative medical systems, tools, and equipment were incorporated into the building design. This was groundbreaking work, and the first building designed to facilitate the integrated group medical practice. Plummer worked closely with Frederic Maass, of Maass & McAndrew, to design and fabricate many of the building systems innovations like the steam sterilization rooms, metal surgical tools and equipment, pneumatic tube system, knee operated sinks, and a state of the art HVAC system.The air exchange rate for the building was three minutes. One intriguing innovation was the Rookwood fountain in the main lobby that was designed to clean and humidify air from the outside. It also heated and humidified air in the winter, and provided cool air in the summer. To fight infection, steam sterilizer rooms were designed to hold much of the operating rooms metal surgical furniture, tools and equipment. These and other aseptic procedures helped bring the overall patient infection rates down.In 1928, the Plummer Building was completed with considerable input from Clinic staff, and again under the guidance of Henry Plummer. Mr. Maass again worked closely with Plummer and staff on system design. After this project was complete he assumed the position as the "Chief Engineer" for the Clinic. Working hand-in-hand with physicians, scientists and other Mayo Clinic staff, the engineering department developed unique medical devices and systems, many designed to meet the needs of individual patients.At the time of its completion, the Plummer Building was the tallest building in Minnesota and remained so until the Foshay Tower was finished in Minneapolis in 1929. It was added to the National Register of Historic Places in 1969, and has recently undergone a complete restoration of its bell tower. The historic 1914 "Red" Mayo Clinic building, a National Landmark listed on the National Register, was demolished by the Clinic in the 1980s to make way for the Hammel, Green and Abrahamson-designed Siebens building.Since 1986, the Mayo Clinic campus has formally included the Rochester Methodist Hospital and Saint Mary's Hospital, as all operations were integrated under one governing board to more efficiently serve the needs of Mayo patients. In 2011, the foundation went before the Supreme Court to argue that medical residents should remain exempt from Social Security deductions. In Mayo Foundation v. United States the court sided with the Social Security Administration and required FICA to be deducted going forward. The same year, Tarek Obaid made a major donation in the name of his family to establish the Essam and Dalal Obaid Center for Reconstructive Transplant Surgery. In 2015, Mayo Clinic had about 1,318,300 different patients. The Plummer Building in Rochester, Minnesota. Mayo Clinic has a large presence in three U.S. metropolitan areas: Rochester (Minnesota), Jacksonville (Florida), and Phoenix (Arizona). The Clinic employs more than 34,000 people at the main campus in Rochester, Minnesota and the Arizona and Florida sites employ approximately 6,000 persons at each site. In addition, the Mayo Clinic owns and operates the Mayo Clinic Health System, which consists of more than 70 hospitals and clinics across Minnesota, Iowa, Wisconsin and Georgia with an employment of over 17,000 people. 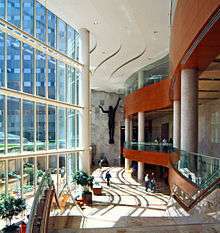 Mayo Clinic also operates several colleges of medicine, including Mayo Medical School, the Mayo Graduate School, and the Mayo School of Graduate Medical Education, Mayo School of Health Sciences. As the Mayo Clinic logo suggests, the institution has a three-part focus. First and primary to the organization is the patient care practice, represented by the central shield. This is in accordance with the primary statement of the organization that "the needs of the patient come first." The other two shields represent the areas of education and research, two areas of Mayo Clinic which have become more prominent over time. Each year, more than 1.3 million patients from all 50 states and from more than 150 countries are seen at one of the Mayo Clinic facilities. Mayo Clinic offers highly specialized medical care, and a large portion of the patient population are referrals from smaller clinics and hospitals from across the upper Midwest and the United States as a whole. Mayo Clinic physicians are paid a fixed salary that is not linked to patient volume (relative value units) or income from fee-for-service payments. This practice is thought to decrease the monetary motivation to see patients in large numbers and increase the incentive to spend more time with individuals. Salaries are determined by the marketplace salaries for physicians in comparable large group practices. Mayo Clinic researchers contribute to the understanding of disease processes, best clinical practices, and translation of findings from the laboratory to the clinical practice. Nearly 600 doctoral level physicians and research scientists are employed, with an additional 3,400 other health personnel and students with appointments in research. In 2015, more than 2,700 research protocols were reviewed by the Mayo Clinic Institutional review board and 11,000 ongoing human research studies. These research initiatives led to more than 7,300 research publications and review articles in peer-review journals. The founding partners in the private practice were proponents of education very early on. In 1917, the Mayo Foundation helped with the establishment of the medical school at the University of Minnesota with a two million dollar donation. Many new graduates were sent to the Mayo Clinic for further training. 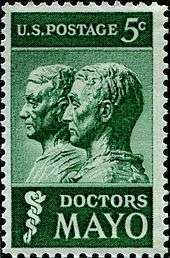 The Mayo Clinic was a pioneer in helping to establish the current residency education system. Until the early 1970s, consulting physicians at Mayo Clinic in Rochester, Minnesota held joint appointments as professors at the University of Minnesota medical school. In 1972, Mayo Clinic opened the doors of its own medical school (Mayo Medical School) in Rochester, which is known for its contributions in the medical field. Also, Mayo Clinic established its graduate school (Mayo Graduate School) in 1989, to educate biomedical sciences PhD and Master students. Mayo Clinic issued an open letter stating the healthcare reform bills as written in July 2009 would not reduce costs or increase quality nationwide. Mayo Clinic has adopted more than 15,000 mobile devices from Apple for patient care; including the iPad, iPad Mini and iPhone. Mayo Clinic then created an app for these devices called Synthesis Mobile which integrated hundreds of their health systems. Other apps were also created for Mayo Clinic Care Network members that assists patients with seeing their medical records or asking clinicians for assistance. Mayo Clinic is also developing an app for Apple's HealthKit that would help users maintain healthy lifestyles and warns users of certain health signs that need attention. Mayo Clinic, in collaboration with real estate firm Delos Living, in September 2015 launched the Well Living Lab. This research facility is designed to simulate real-world, non-hospital environments to allow Mayo Clinic researchers to study the interaction between indoor spaces and human health. The Mayo Clinic Center for Innovation, established in 2008, was one of the pioneers of innovation in healthcare. It has since worked on over 270 projects and is often looked to as a role model for using design in healthcare. Developed and implemented the concept of integrated, multispecialty group practice of medicine. This is Mayo Clinic's most enduring and significant contribution to medicine. Demonstrated that inherited individual variation in the thiopurine methyltransterase gene leads to differences in metabolism of 6-mercaptopurine that affect tolerability of this agent in childhood. This study helped form the discipline of pharmacogenomics. In 2016-17, Mayo Clinic, Rochester, was ranked as the #1 overall hospital in the United States by U.S. News & World Report. A total of almost 5,000 hospitals were considered and ranked in 16 specialties from cancer and heart disease to respiratory disorders and urology; 153 (just over 3 percent of the total) were ranked in even one of the 16 specialties. Of the 153 hospitals that are ranked in one or more specialties, 20 qualified for the Honor Roll by earning high scores in at least six specialties. Mayo Clinic, Rochester, was ranked in the top 10 in all but one of 16 specialties, in the top 5 in 13 specialties, and was the #1 ranked hospital in 8 of the 12 data-driven specialties. This year U.S. News expanded their common procedures and conditions list to 9 individual measures, and Mayo was one of less than 70 hospitals to score High Performing in every category. Additionally, Mayo was the only hospital on the 2016-2017 honor roll to also receive 5 stars from CMS. Gonda building from 3rd Avenue SW. Inside the Gonda building looking south toward the 1954 Mayo building. The Opus Imaging Research Building. The Guggenheim Building in Rochester, MN. Fye, W. Bruce (March 2, 2015). Caring for the Heart: Mayo Clinic and the Rise of Specialization. Oxford University Press. ISBN 978-0-19-998235-6. (subscription required (help)). Keeling, Arlene PhD, RN (2014). The Nurses of Mayo Clinic: Caring Healers. Mayo Clinic. ISBN 978-1-89-300583-9. Wright-Peterson, Virginia M. (2016). Women of Mayo Clinic: The Founding Generation. Minnesota Historical Society Press. ISBN 978-1681340005. ↑ "An Inside Look at the Mayo Clinic" (PDF). Mayo Clinic. Retrieved April 30, 2016. 1 2 3 "History of Saint Marys Hospital". Mayo Clinic. Retrieved January 6, 2016. ↑ LinkedIn. Mayo Clinic. Accessed 2013-03-11. 1 2 3 4 "Mayo Clinic Facts". December 2015. Retrieved 2016-08-04. ↑ "About Mayo Clinic Research". ↑ McKinney, Matt (8 June 2016). "Mayo Clinic unveils plans for expanded research space". Star Tribune. Retrieved 25 August 2016. ↑ Harder, Ben (August 1, 2015). "Best Hospitals: 2016-2017 Best Hospitals Honor Roll and Overview". U.S. News & World Report. Retrieved 2016-08-03. ↑ "Top American Hospitals – US News Best Hospitals". U.S. News & World Report. Retrieved 2010-09-04. ↑ "100 Best Companies to Work For 2011: Mayo Clinic". Fortune. February 7, 2011. Retrieved 20 January 2011. ↑ "Mayo Clinic named one of FORTURE's "100 Best Companies to Work For"" (Press release). Mayo Clinic. Retrieved 2015-10-05. ↑ "About Mayo Clinic - About Us - Mayo Clinic". Mayo Clinic. ↑ "Locations - Mayo Clinic Health System". Mayo Clinic. ↑ Schlup, Leonard; Ryan, James G. (2003). Historical dictionary of the Gilded Age. Armonk, N.Y.: M.E. Sharpe. p. 299. ISBN 9780765621061. ↑ "Mayo, Charles Horace (1865 - 1939)". Royal College of Surgeons. Retrieved 25 August 2016. ↑ "The Rochester, MN Tornado of 1883". National Weather Service. Retrieved 2015-10-05. ↑ Danilov, Victor J. (2013). Famous Americans : a directory of museums, historic sites, and memorials. Lanham, Maryland: Scarecrow Press. p. 138. ISBN 9780810891869. ↑ Zachariah, Prince K (2005). "Automation of the Clinical Practice: Cost-Effective and Efficient Health Care". Building a Better Delivery System: A New Engineering/Health Care Partnership. National Academies Press. p. 205. ISBN 978-0-309-09643-0. ↑ Billstein, Kelli (15 February 2016). "Building our history: Conley/Maass Building". Rochester Magazine. Retrieved 25 August 2016. ↑ Lowes, Robert. "Residents Are Workers, Not Students, for Tax Purposes, Says High Court". Medscape. Retrieved 25 August 2016. ↑ "Saudi oil executive gives $10M to Mayo Clinic". Star Tribune. 10 August 2011. ↑ "Saudi Family Major Gift to Mayo Clinic is Emblem of Generosity". Arabia Link. 15 August 2011. ↑ "An Inside Look at Mayo Clinic" (PDF). Mayo Clinic. Retrieved 2016-04-30. ↑ "Logo Logic: What do those shields mean?". Mayo Clinic. Retrieved 2012-11-04. ↑ "Mayo Medical School". Mayo Clinic. Retrieved 2012-11-04. ↑ McGreal, Chris (July 21, 2009). "Obama launches campaign urging Congress to pass healthcare reform". The Guardian. London. Retrieved 2010-05-12. ↑ "Mayo Clinic". Apple. Retrieved 2015-10-05. ↑ Sparks, Dana (June 2, 2014). "Apple Highlights New Mayo Clinic App During Worldwide Developers Keynote" (Press release). Mayo Clinic. Retrieved 2015-10-05. ↑ Stinson, Liz (October 4, 2015). "Why the Mayo Clinic Modeled Its New Lab on a Stuffy Office". Wired (magazine). Retrieved 2015-10-09. ↑ "Mayo Clinic CFI |". centerforinnovation.mayo.edu. Retrieved 2016-08-04. ↑ Newmarker, Chris (May 8, 2009). "Noseworthy Named New Mayo Clinic CEO". Minneapolis-St. Paul Business Journal. Retrieved 2015-10-05. ↑ "Contributions to Medicine | Mayo Clinic History & Heritage". history.mayoclinic.org. Retrieved 2016-08-04. ↑ "US News / Healthcare / Best Hospitals / Mayo Clinic". August 3, 2016. Retrieved 2016-08-03. ↑ Punke, Heather. "How did CMS rate US News' 20 Honor Roll hospitals?". www.beckershospitalreview.com. Retrieved 2016-08-03. Wikimedia Commons has media related to Mayo Clinic.